Dynosty and FRSMOD worked with Venair to bring you an upgraded cooling hose solution for your FA20 engine. Made of strong multilayer silicone construction. Coolant hoses available in red, blue and black colors. Fits Scion FR-S and Subaru BRZ. 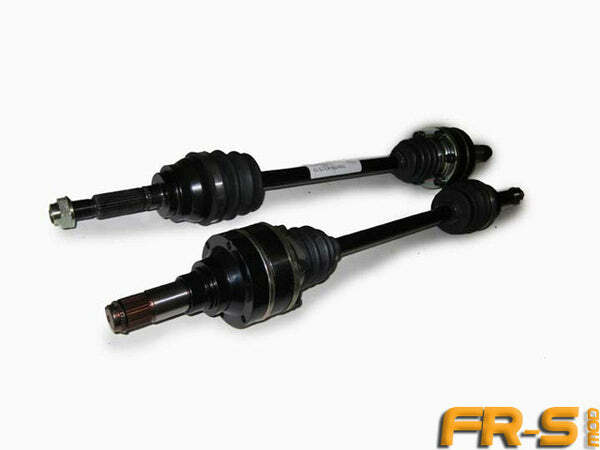 Driveshaft Shop just releaesed their 500HP capable axles for the Scion FR-S, Subaru BRZ and Toyota 86. These are a great upgrade to keep in mind as you boost the performance of your 2.0L FA20 engine to ensure reliable performance. Carbon Fiber and Aluminum one piece driveshafts coming soon! New product announcement from HKS… Stopper Type Head Gasket for Scion FR-S and Subaru BRZ is underway. Opposed Bead Stopper Type Metal Gasket for the FA20 engine of 86/BRZ provides higher bore sealing durability than a stock gasket. Both types are endurable against high engine output. Stopper structure of the bore seal prevents leakage even under high cylinder pressure at high engine output. Boosted gaskets compression is kept high to maintain high efficiency. Contact surface pressure is improved via a special coating applied to the head side and cylinder side to improve sealing performance when tightening the bolts.